Press Release: Isis Gallery and Triple Major of Beijing are very pleased and excited to present Nomad Store in London during London Fashion Week February 16th to 23rd, 2012. Triple Major is a Beijing based multi-disciplinary project helmed by Ritchie Chan that beautifully encapsulates the exciting global worldview of young Chinese people today. 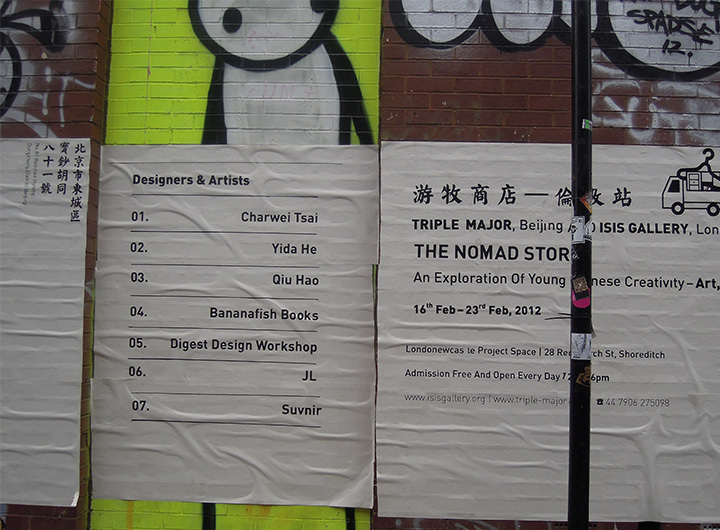 Although essentially a fashion collective producing their own collections and presenting them internationally, Triple Major is very concept driven and invites international artists to install work in their three story space in the old hutong district of this most exciting of 21st Century cities. Additionally they helm the Nomad Store, which appears in different cities across the world. Previous emergings have included Los Angeles (Jul 29th – Aug 14th 2011) Shanghai (Jan 11th – Jan 22nd 2010) and Hong Kong (Nov 24th – Nov 30th 2010). This is the first time that Nomad Store has come to London, in a perfect clash with London Fashion Week. Artist Charwei Tsai (Taipei 1980) was born in Taiwan and exhibits her installation and performance based work around the world – forthcoming projects include a solo exhibition in India and inclusion in group shows in Chile, Germany and Japan. Tsai’s meticulously balanced works exhibit a clarity and precision that marks her out as an artist of sincerity and depth. Additionally, her periodical Lovely Daze has marked her out as one of the most interesting people in the creative arena. We are extremely pleased Charwei Tsai is able to participate in this experiment. Artist and fashion designer Qiu Hao (Taicang 1978) is an award winning St Martins ex who has his own store in Shanghai. As the recipient of the prestigious Woolmark Award (2008) in Paris and tagged by WGSN last year as a name to watch on the international circuit, Qiu’s installation for Nomad Store will include plinth based sculptural elements from his collections as well as photography. 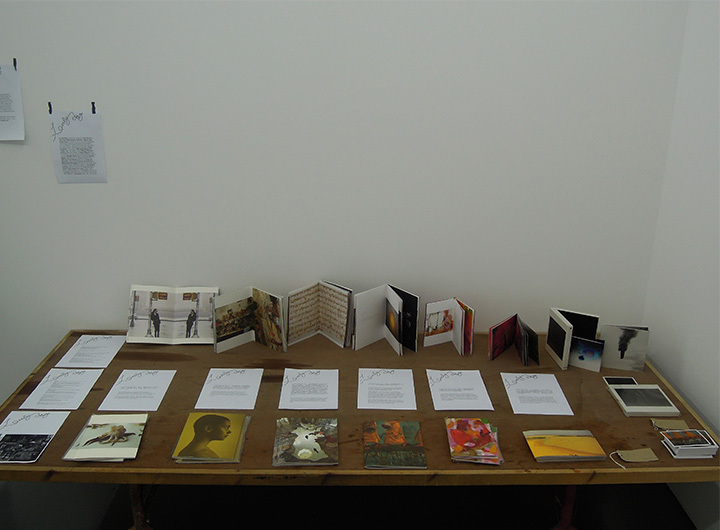 Recent collaborators include Stephane Sednaoui and Terence Koh. Yida He (Shanghai 1980) has been championed by Beijing curators as one to watch. Having worked with the wonderful Arrow Factory art space in Beijing Yida He is beginning to explore the possibilities of placement and the slightest intervention. She will create a special installation for Nomad Store in London. Bananafish Books. As one of the first – perhaps THE first – independent magazine store in China, Bananafish Books in Dalian stocks the most interesting publications from both China and the rest of the world. Bananafish will be hosting a special bookstore for Nomad Store from which visitors will be able to buy the most interesting fanzines and artist books from China. You can find out more about Triple Major at triple-major.com. Lastly, Isis is once again most grateful to Robert Soning and Peter Allen at Londonewcastle for their ongoing support of our programming. We are also extremely grateful to Philip Dodd of Made In China UK and to Theresa Liang of Long March Space in Beijing. 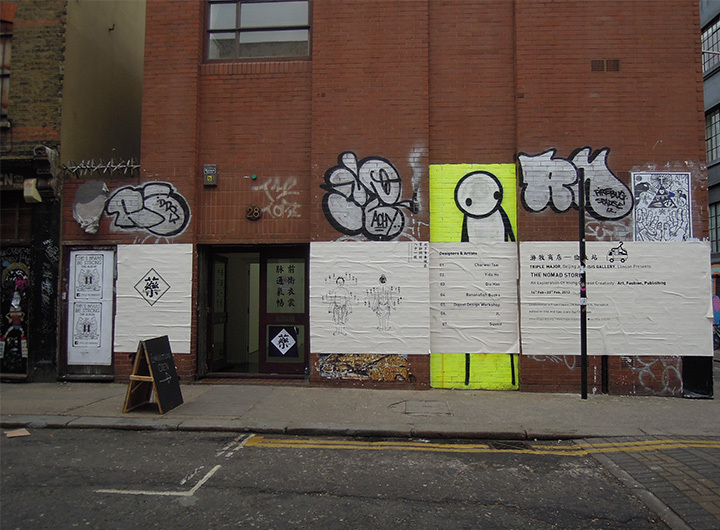 The Londonewcastle Project Space is a gallery and exhibition space in Shoreditch created by property brand Londonewcastle as a platform for creatives and artists to display their work and further their practice. 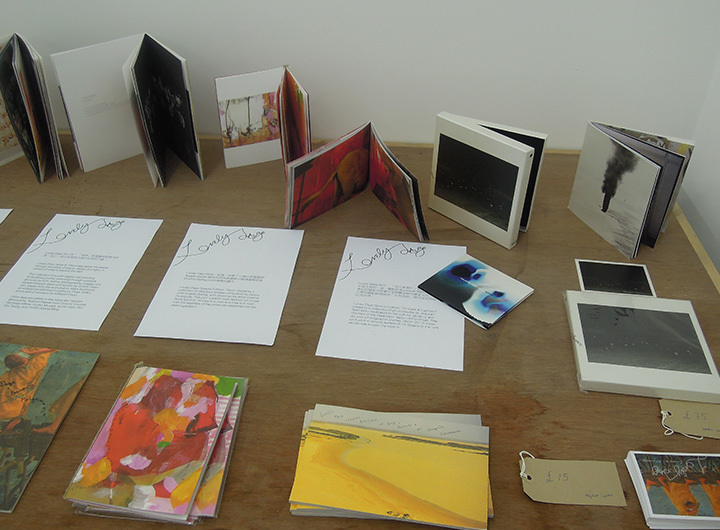 The galleryis donated to users who might not otherwise have the opportunity to show their work and forms part of the ongoing local cultural discourse.